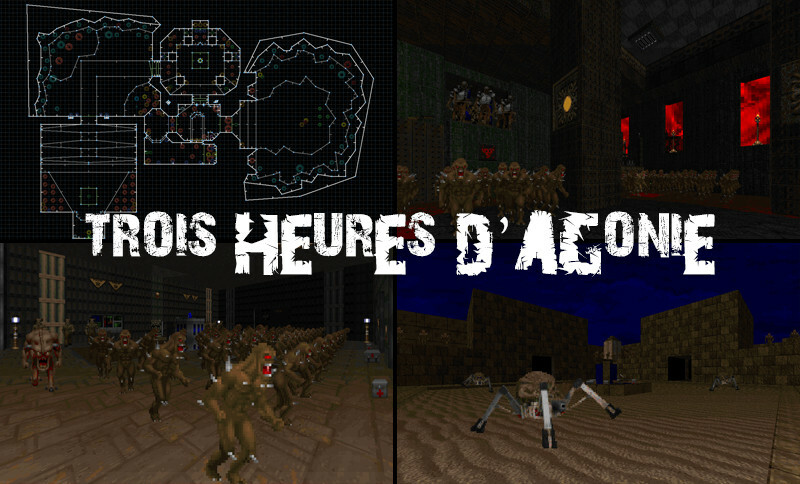 Ce jeudi, nous allons jouer 3 hours of agony! 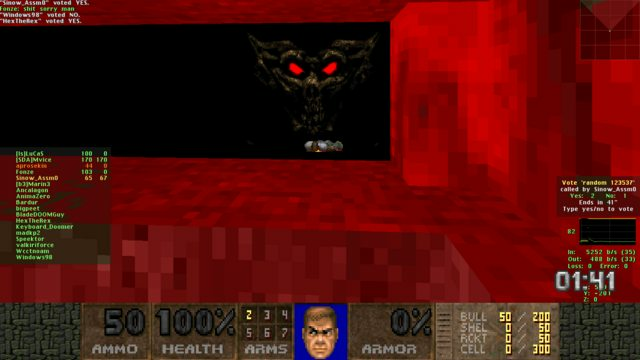 3 Heures d'agonie is a limit-removing megawad of speedmaps from the French Doom community, released back in 2013. The name comes from the fact that every map in the WAD was made in just three hours. It's been more than 2½ years since we last played this WAD in TNS, so it's time to pay it a second visit, and hopefully some of the TNS veterans can still find their way around! 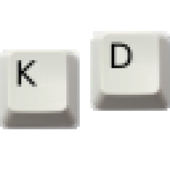 Get ZDaemon and join in. Doggone that was a long session...this will teach me not to record for the entirety of my playtime. Session lasted for 7 hours and 52 minutes and ended in the 3rd rota with the last map played being MAP17. Last finished map was MAP16.